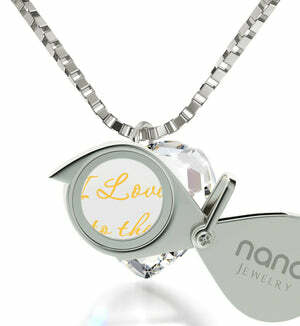 I Love You to the Moon and Back Gifts, Surprise Her with Nano Jewelry! Take her breath away with this wonderful piece of fine silver jewelry! 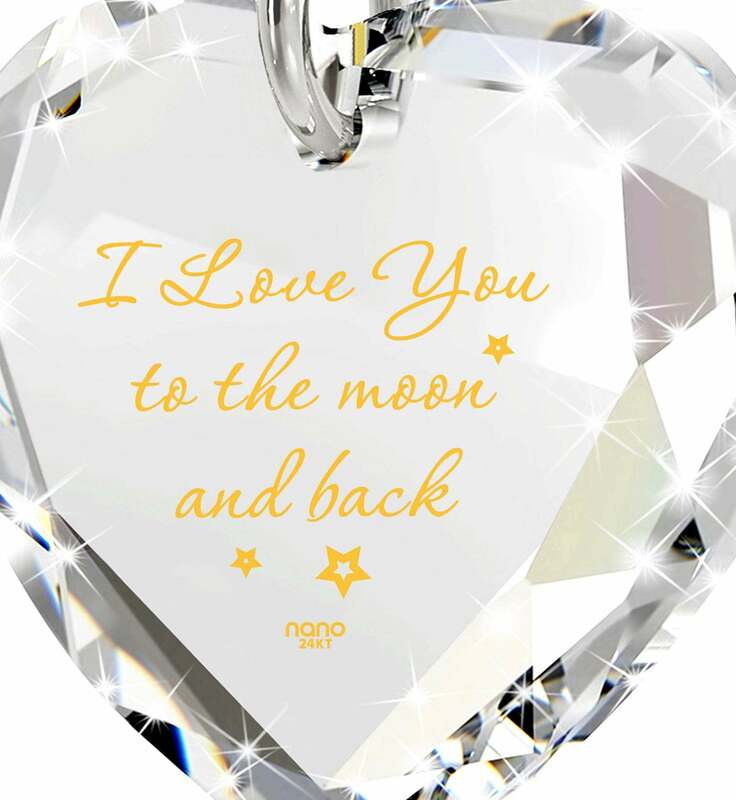 Whether you’ve just begun your journey together or have been there for each other for years, there’s nothing like that persisting feeling of love and warmth when you look into her eyes and know that this could very well be the real thing. 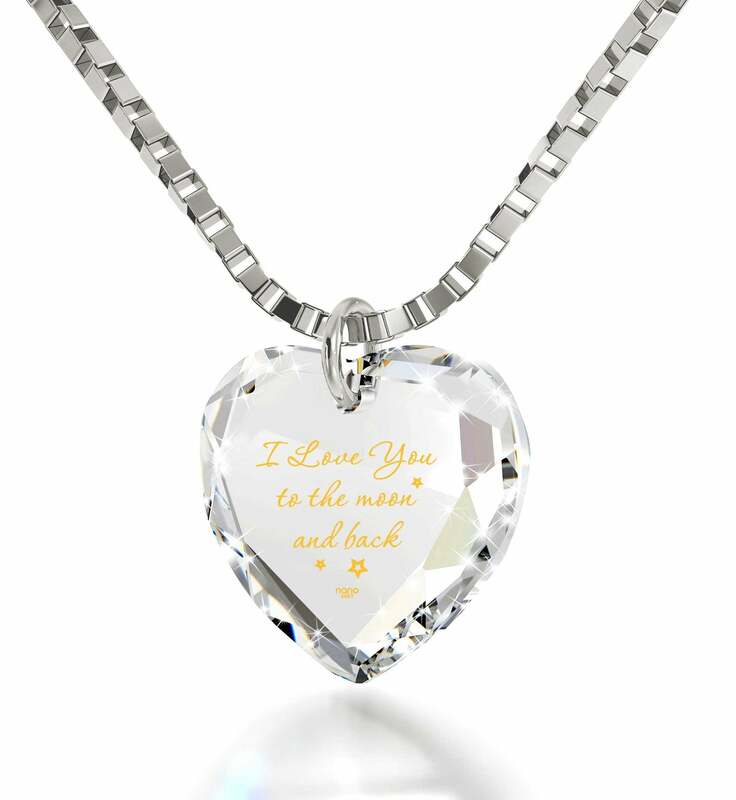 A great way of showing both your commitment and feelings is to gift your girlfriend with a token of affection, an I love you to the moon and back gift in form of a dainty silver necklace that will perfectly compliment her sense of style while also being a cut above the rest! 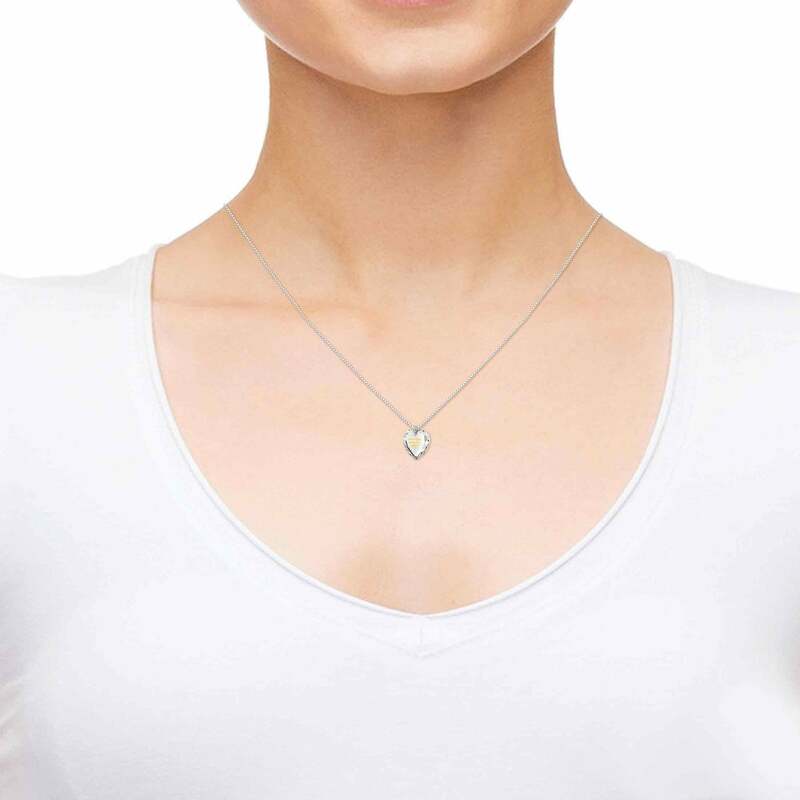 You can tell right off the bat that this is a top gift idea for women by just taking a glance at its finely-made sterling silver Italian chain, but if you shift your attention to its shimmering heart-shaped Swarovski crystal, you’ll see there’s a secret to be uncovered. Up until that point it might seem like just another fun gift for women, but her heart is bound to skip a beat once she finds out that the affectionate message inscribed on the gem is made with pure 24k gold in such a way that makes it last forever and with so much more detail than literally any similar necklace you might find. 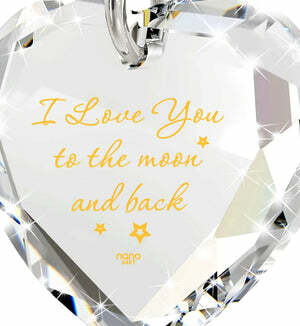 The inscription reads: “I love you to the Moon and back” and will delight her again and again. She’ll enjoy discovering each and every line anew thanks to a special magnifying glass that’s also part of this exceptional womens present. 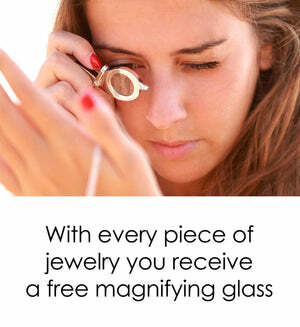 To top it all off, we’re making it the best women gift it can be by placing it along with the magnifying glass inside a wonderful box she’ll have a hard time keeping intact once she learns of the amazing gift it hides.